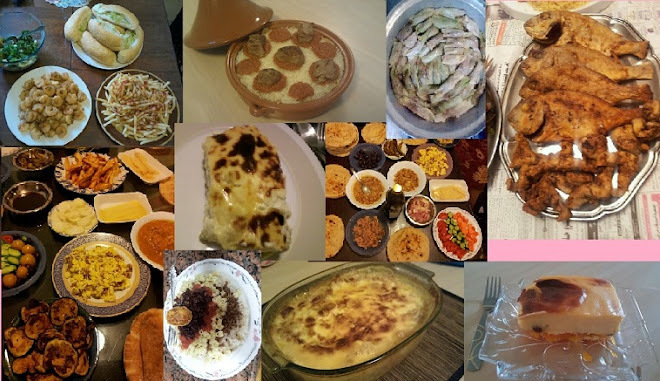 EgYpTian CUsIne FroM an EgyPtian WoMaN: Mahshi kromb.. (old recipe people) i use a different one now. Mahshi kromb.. (old recipe people) i use a different one now. Mahshy Kromb means Stuffed Cabbages. 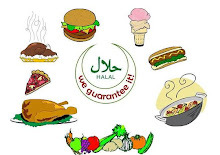 They're delicious and can be seen in many different cuisines not just Egyptian. Each country has their own way of making this scrumptious meal but I find what makes this way stand out is that the cabbage leaves are cut into small peices that way you get a much bigger quantity and you still feel like your eating a cabbage roll. My mother makes these actually bigger than usual and that's the way I love it.. You can see these at almost every 3ezooma ( dinner invitation) and eaten throughout the year. Let me show you how I make it.. This is the most trickiest part. Core the Cabbage from the bottom. Once its corred take a large pot full of water and put it on medium heat until the water is simmering. Place the cabbage in the water the cored side for down for 5 minutes to soften the stubborn edges so that it will be easier for the leaves to remove. Now turn the cabbage cored side up and when the leaves begin to soften you will see that its easy to remove the cabbage leaves one by one. Do not wait until the cabbage leaves turn see-through. Remove them when they are still green but bendeble. About 1 minute for each layer is enough. The trick with this is that you dont want to boil the cabbage leaves you just want to soften them but still keep its freshness because they will go for a second time in cooking process. 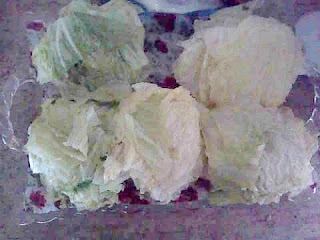 Once all the cabbage leaves have been softened and removed, Take each cabbage leave and cut into rectangle shapes, long and wide enough to wrap. They should be cut with the grain of the cabbage leaves, so cut them going across with the cabbage line/veins. 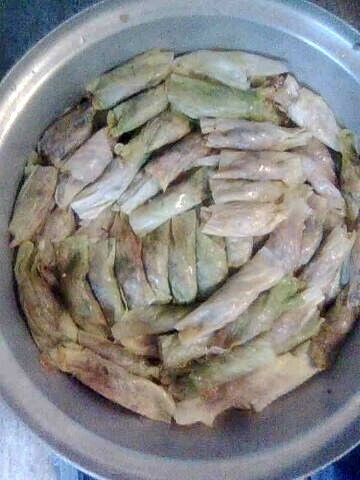 Okay by now you should now that this dish will need some patience and time but belive me, its worth it! So lets make the stuffing now! First saute the diced onions in some oil in a deep pot. Once they are caramalized add the diced tomatoes, tomato paste and enough water to make it into a saucy consistancy. Place the lid on the top and simmer until the tomatoes have disintegrated and the sauce become thick, add more water if its too thick. Add the spices and chopped herbs simmer for a further 2 minutes. Now add your rice and stir very well. Keep it on the stove for 5-10 minutes for the rice to partially cook and soak up all the flavours from the sauce. 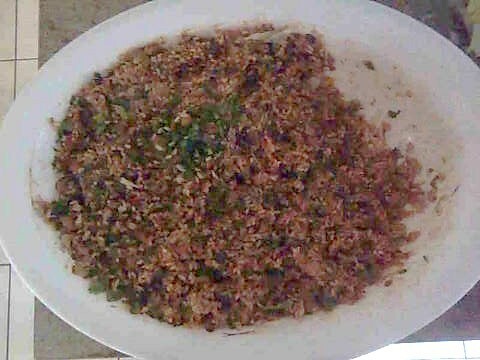 Transfer the rice mixture to a bowl and now you are prepared to stuff. Keep lining until youve reached the top of the pot..
Place some slices of butter on top and cover with enough broth until it reaches the rims of the pot. Simmer on high first until it starts to bubble then switch on low heat and cook for 1 hour or until the cabbage is soft and the rice is cooked and delicious.. Enjoy! 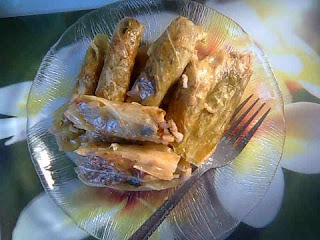 Mashallah this really looks yummy, I love all types of mahashee, they just need lots of time to prepare emm.I never tried this, but I make mahshy with tomato, zucchini and green pepper.I bake them, got it from a greek cookery book. we have this here toooooooooo!!!! it is called "sarmalute" and we love it!!!!!!! it is so famous here!!! YA SARAH! ALF MABROOK! 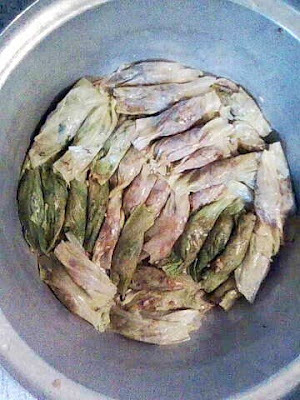 Yummy recipe....After stuffing how you are placing it in pot..Is it a double boiling method or directly putting it to the pot..
hye i'm malaysian. i'm studying here in egypt. I love mashee very much. May i know how to make the broth?